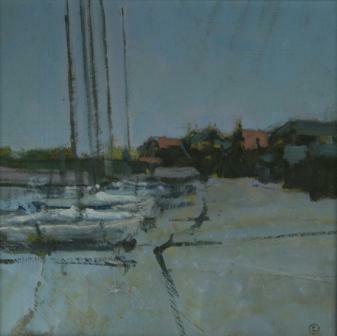 Right now we are waiting for new Colin ORCHARD Art to arrive at the gallery. In the meantime, here is a selection of the artist's archived art work which has featured at Red Rag Art Gallery. If you wish to register to receive updates and alerts when new art work from Colin ORCHARD arrives select this link. 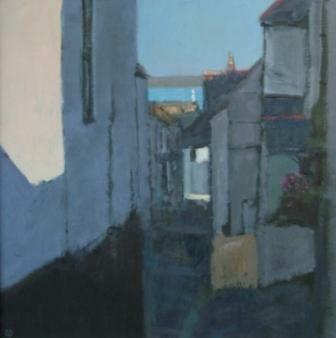 Colin Orchard was born in Ewell, Surrey in 1935. He had no formal art training and his first job was as a messenger in the art department of The Times. He progressed through the art department eventually becoming lead graphic designer. 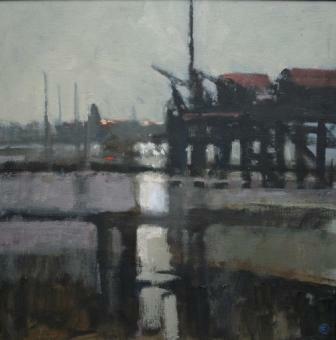 Since 1983 Colin Orchard has been painting full time. 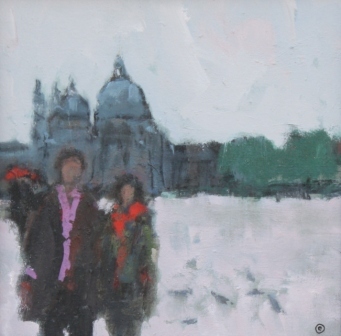 During this time Colin has exhibited extensively at more than 50 art venues throughout the UK. 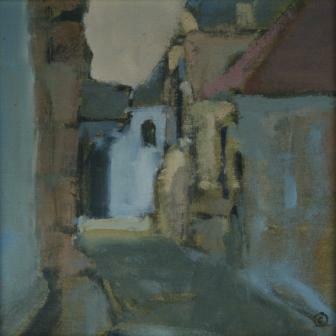 His paintings have regularly featured at the Royal Academy Summer shows. 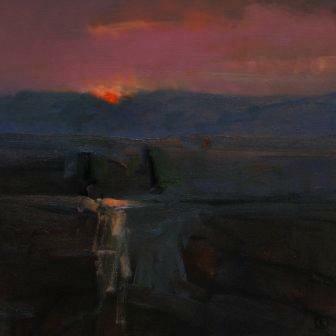 In 2007 he was appointed a member of the Royal Society of British Artists. 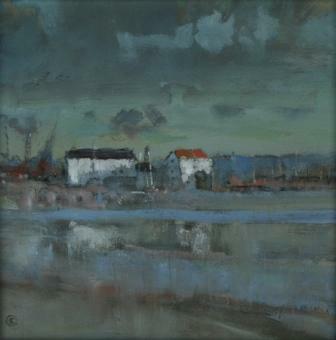 Like artists Sickert and Vuillard who have influenced his art, Colin Orchard is an impressionist painter. 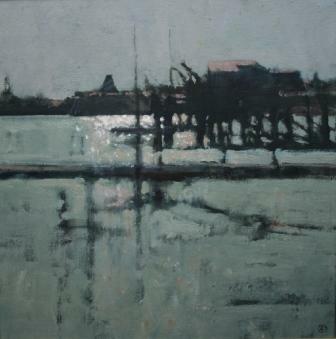 His paintings often display the shades and shadows of Winter. They are often deliberatively inaccurate because of Colin's frequent inclination to decrease or increase elements within a composition. 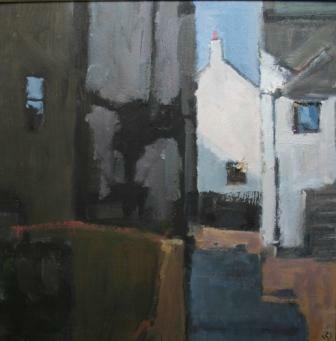 Colin makes regular visits to places that provide many of his painting subjects. Typically these include Venice, East Anglia and Cornwall. 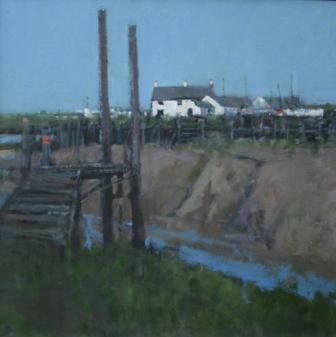 All Colin Orchard's paintings are oil on calico, mounted on board. He prepares his own panels, using traditional methods for glueing and priming the panels and gessoing the frames. 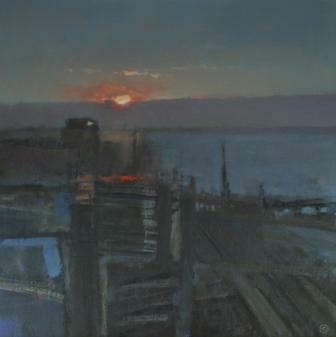 In addition to Red Rag British Art Gallery Colin Orchard art work has been exhibited at other leading British Art Galleries. Each painting at Red Rag is sourced from the Colin Orchard artist studio and like all Red Rag British art and Contemporary art it can be shipped worldwide.